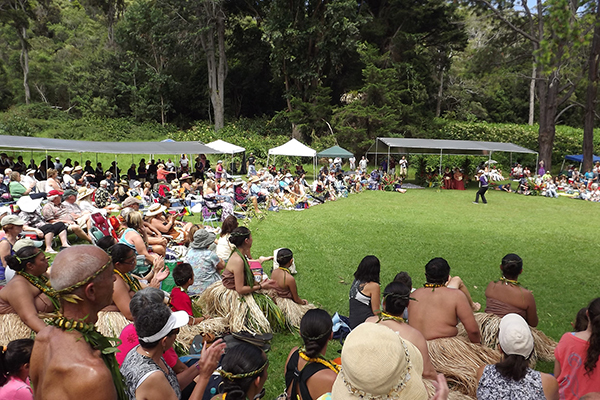 Eo e Emalani i Alaka‘i returns to Koke`e! A Day of Music, Dance, and Living History! Kanaloahuluhulu Meadow in Koke‘e State Park just past mile marker 15 on Hwy 550, Koke‘e Road. Step back in time to 1871, as Queen Emma and her entourage arrives on horseback at 11am. 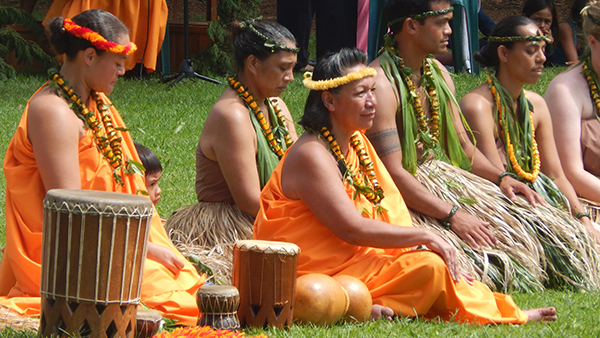 Over a dozen hula halau will greet her and pay homage to her life and accomplishments. 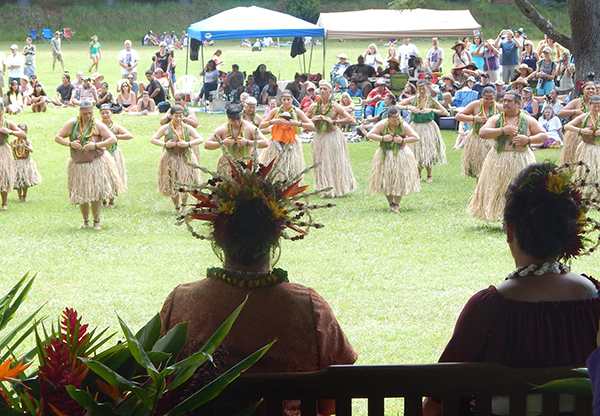 The day is full of beauty, as the mountain forests echo with sounds of Hawaiian music and chants during this very special festival. It is not a competition but a very special sharing of love and aloha. 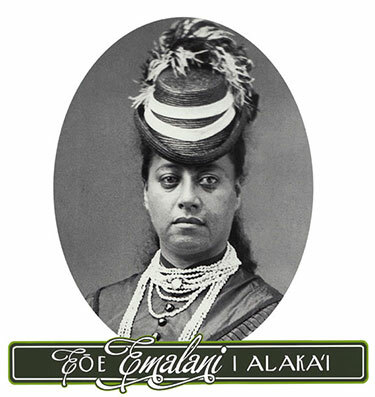 The dowager Queen Emma, still despondent over the loss of her husband and only child, came to Kaua‘i to regain her health and spirit. She found it in her journey to Koke‘e with over 100 companions, eager for an adventure with their Queen. Along the way, she called for her court chanter to offer oli, great poems of appreciation for the magnificence of the region’s landscape and all within. Other chants praised the Queen’s courage to undertake the relatively uncommon trek in the January cold. The delays turned the trek into an overnight stay in the soggy Alaka‘i Swamp. It was the Queen who cheered up her companions with tales and song into the night. Even more her heart was lifted by the beautiful view at the end of the trail overlooking Wainiha, Hanalei and Kilauea – the breathtaking “Kilohana” her husband and brother-in-law had once told her about. This is what is celebrated this day. The event starts at 9am with Hawaiian music and hula, crafts, a silent auction, exhibits and delicious food. There is no admission! 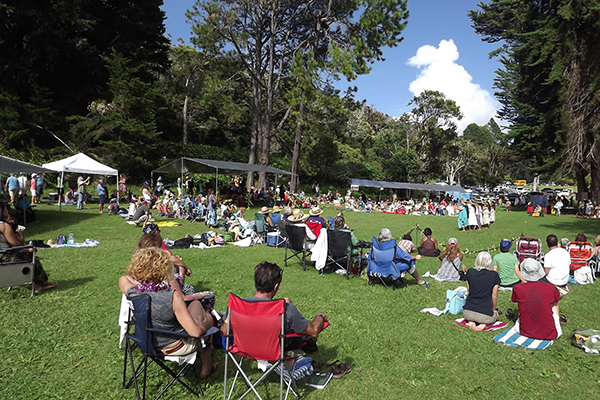 Parking at Koke‘e State Park is limited, please carpool. To be comfortable bring your own seating. Tents and umbrellas are not allowed near the performance area. No coolers or alcoholic beverages are allowed and all park rules must be followed. 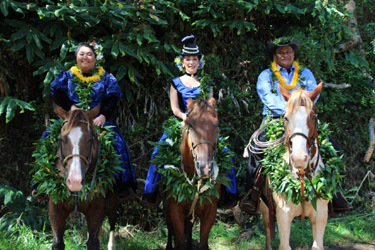 Eo e Emalani I Alaka‘i is hosted by Hui o Laka and funded in part by Hawai‘i Tourism Authority and many island business and individuals. For more information: (808) 335-9975 or email info@kokee.org. Follow Hui o Laka at www.facebook.com/KokeeMuseumNew. Photographs from past events. More on our facebook page.